Home BOLLYWOOD Watch: Salman Khan Rehearsing For Da-Bangg Tour In Hongkong! Watch: Salman Khan Rehearsing For Da-Bangg Tour In Hongkong! Everyone is super excited to see Salman Khan perform live. After wrapping up the second schedule of his upcoming film, Tiger Zinda Hai, Salman Khan is in Hongkong for Da-Baang tour. Salman fans are surely expecting some powerful performances. 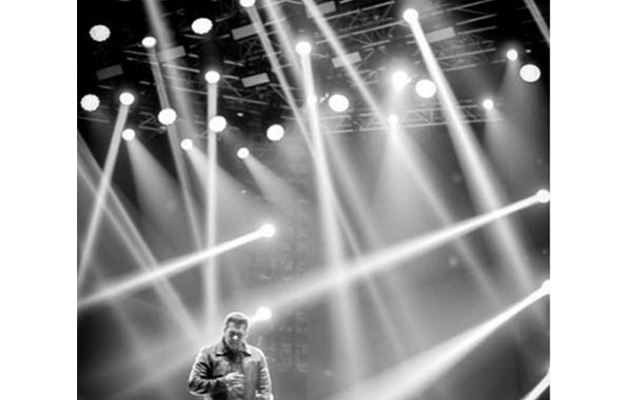 We are really excited to see Salman perform live overseas, aren’t you? Along with Salman, many Bollywood celebs will be seen shaking a leg. Sonakshi Sinha, Bipasha Basu, Prabhu Deva, Daisy Shah, Badshah, Tamannaah Bhatia, Manish Paul will also be a part of the tour. Salman will be performing in Kuala Lumpur on April 14, 2017, in Hong Kong on April 16, 2017 and in Auckland, New Zealand on April 21, 2017. Salman Khan rehearsing for the first show in Hongkong is up on twitter. Check it out. On the work front, Salman Khan will next be seen in Kabir Khan’s “Tubelight” with Chinese actress Zhu Zhu and Ali Abbas Zafar’s “Tiger Zinda Hai” with Katrina Kaif. After that he will start prepping on his dance venture with Remo D’Souza. Previous articleKapil Sharma’s This Step Proves That Ali Asgar Is Out Of His Life! Next articleSunil Grover Posts Yet Another Cryptic Message, Is This One For Kapil Sharma Too?